Help Protect Western Water from Uranium Mining! Now, President Trump’s EPA could weaken that rule — a decision that would be a boon to the energy industry while leaving Americans across the western states to pay the price. Tell EPA Acting Administrator Andrew Wheeler to uphold strong protections to save western groundwater from toxic pollution. Communities from Texas to Wyoming are facing radioactive groundwater contamination caused by uranium mining waste. Tell EPA Administrator Pruitt to act now to protect western water from toxic pollution. Dear EPA Acting Administrator Wheeler: I urge you to strengthen and finalize the “re-proposed” uranium mining rule (40 CFR Part 192) that protects communities across the west from irreversible groundwater contamination caused by in-situ leach uranium mining. 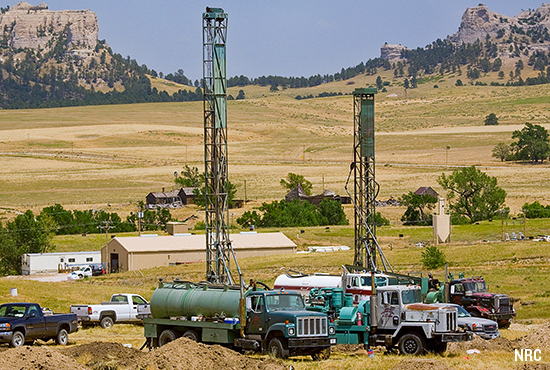 This rule was proposed to address urgent concerns about the billions of gallons of groundwater in scarce western aquifers that have and will be contaminated as a result of this type of mining on lands from Texas to Wyoming. Your own agency’s scientists have found that cleaning up this groundwater contamination has proven to be more difficult than expected and can lead to a significant drop in water tables. I hope that as you make this decision, Administrator Pruitt, you will consider your great responsibility to protect the lives and health of communities across the west. Please do the right thing and protect the American people, not the energy industry. The future of this region depends on it. Thank you.